You’ve probably heard me talk about Gideon & KX Life a few times now. KX is the most amazing gym in Chelsea with great staff, a great atmosphere – and a great spa! Gideon, my PT there has always been on hand to give me top-notch advice, whether it’s about pregnancy, working out post-baby and even the best formula to try when bottle feeding Lacie. He’s a walking health & fitness manual and someone I’ve trusted with my training pre and post baby. As soon as I had Lacie and got the go ahead from the doctors to exercise again, I saw Gids straight away and have been seeing him on a monthly basis ever since. He’s given me a fantastic workout plan to follow three to four times a week, and although it’s nothing like what I was doing pre-pregnancy (we’re working up to that!) I love doing it every week and can really notice the difference with my posture, muscle-tone and weak areas like my glutes and shoulders. He’s one of the only trainers that truly listens to me and truly knows my body and A-type personality – and knows how to keep me occupied training wise. I certainly don’t want to overdo things again and get stuck in the ‘Over-Training, Let’s Abuse My Body Rut’! 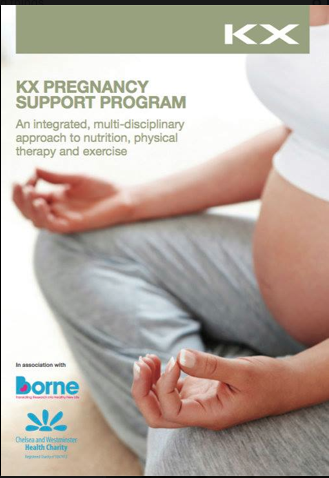 Since training with Gids throughout my entire pregnancy, KX have launched a Pregnancy Support Programme, which not only looks after your nutrition and training but also physiotherapy and osteopathy; things tend to move a lot in during pregnancy due to a surge of relaxin and the extra weight your body has to handle. The programme took over a year to get together, as, as usual they wanted to collaborate with the best experts in the industry and provide the best information and service possible. Not only are they working with nutritionist and author of ‘The Health Delusion: How to Achieve Exceptional Health in the 21st Century,’ Glen Matten but, also Simon Rice and Boniface Verney-Carron, who can provide private spa-based physical therapy sessions. So what type of exercises does Gideon have me doing? 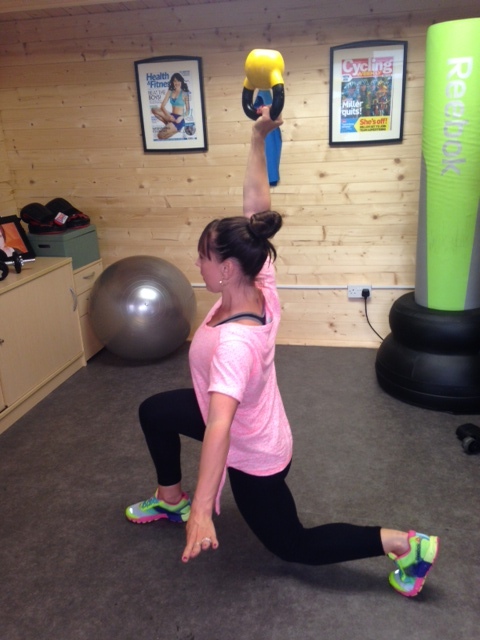 A Turkish Get Up is the move that starts my programme off. This helps switch on my nervous system, switch on every single muscle in my body and helps me warm up and ease myself into my session. 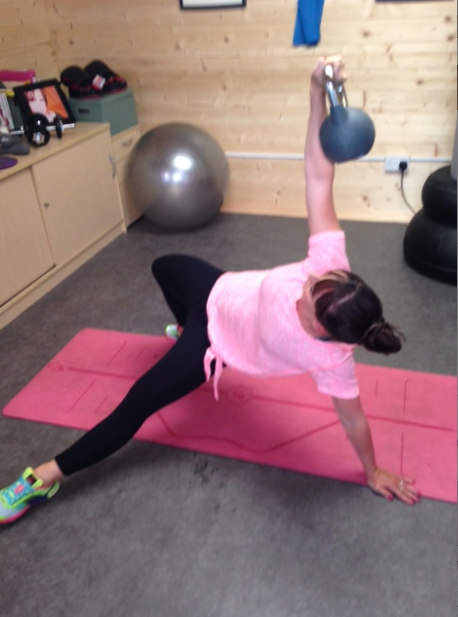 I’ve gone from using a 8kg Kettlebell to a 12kg and we’ve since progressed it so I do an internal and external rotation and a press in each position. It’s so challenging and I really have to connect my body to my brain during every position but I love it and once I’ve done this move a few times, I feel soooo ready to start my session! I’m also doing side lunges with a gliding disc to work my entire lower body, including those pesky inner thighs, back pulls with a resistance band to help pull my shoulders back (I feel so hunched over since having Lacie), lunges with a Kettlebell press for shoulder stability and a toned bottom and thighs side planks, one-legged Kettlebell deadlifts and renegade rows. Each session takes about 45 minutes, which is perfect for squeezing in the morning before Lacie wakes me up and generally keeps me busy for the rest of the day! I would urge anyone in the Chelsea area (or beyond) to contact KX if they are pregnant and scared to train or really want to be well looked after. Not only will you be trained in a fantastic environment but you can also indulge in the spa afterwards and have anything from a pregnancy massage to a Hydra facial. Their changing rooms are awesome too….there’s big fluffy white towels, dressing gowns, hair brushes, toothbrushes, candles and gorgeous toiletries. 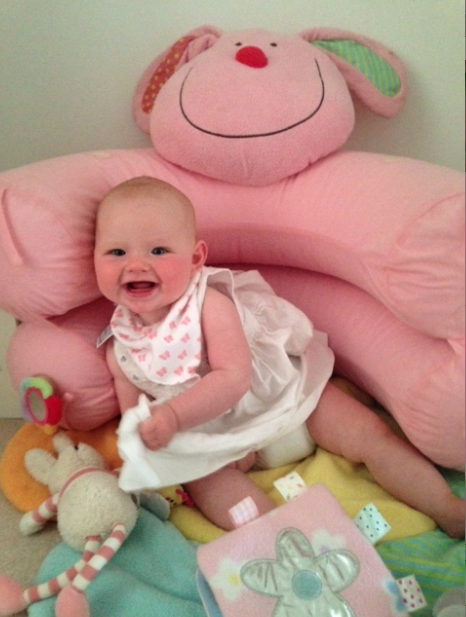 It makes going to the gym a real pleasure even if I do miss my little cherub…. Finding out I was pregnant was one of the happiest days of my life. But deep down I wasn’t looking forward to expanding. My body is my work and I sort of felt like I’d be losing my identity. I’m a real gym bunny! I wasn’t going to be silly though and restrict my calories or go mad in the gym. A healthy bump equals a healthy baby after all. I popped into see Gideon at KX gym, who gave me a safe exercise programme to follow (I will share this in a later post). It was here that I also decided I wanted to do my pre-natal exercise course too. If I was going to carry on working out then I wanted to know that I was doing it safely & effectively. During the first trimester lots of changes are happening. Firstly, your blood vessels increase dramatically but there isn’t enough blood to fill them, which causes something called Vascular Underfill. This is why people tend to feel sick, dizzy and tired. Their blood pressure will also drop. I also noticed that my heart rate was high. I always wear my Polar FT60 when working out and straight away noticed that my HR was 10-15 Beats per minute higher than normal. This is basically to accommodate the bigger blood vessels, which don’t have enough blood in them so your heart has to work extra hard to pump this blood through these expanded vessels. Don’t worry there are some benefits! The excess progesterone pumping through the body is said to improve lung function! You may feel you are over-breathing though. I noticed this in the simplest of tasks like walking up the stairs. I felt so unfit! Don’t worry, you aren’t, it’s just your body adjusting. Lastly increased insulin resistance (when your body’s cells cannot take in glucose so it ends up circulating round the blood stream and causes fat storage) can result in excess fat storage but as pregnant women we know and expect this. During the whole pregnancy you’re going to put on around 24 – 33 pounds, so there’s no hiding from weight gain! So there you have it. These are all the things you need to look out for and be aware of when exercising during the First Trimester. One other thing that is absolutely vital is that you make sure you don’t overheat when exercising. It can damage the baby and cause abnormalities. I was so lucky that I only had the odd day of extreme tiredness and sickness so didn’t miss too many sessions. Most importantIy I DID listen to my body and sleep in when I needed to or just stay at home and have a big nutritious breakfast. That is the secret when pregnant. You need to listen to what your body and baby is telling you and go with it. 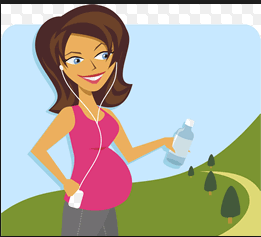 Pregnancy most certainly isn’t the time to reach peak fitness or break records, it’s literally for maintaining what you already have and making your pregnancy and birth that little but easier. Please contact me if you have any questions or need some advice – I’ve been through this trimester and come through the other side so will happily help others who need some support or advice. My first point of call was to see Gideon Remfry at KX gym in Chelsea. He slashed my gym routine no end. No more training twice a day, no more running 26 miles a week and no more hammering my adrenal glands to the inch of their life. It was scary, but I knew it had to be done. He also recommended I take KX daily supplements for one month, which feature a multivitamin and mineral for AM alongside CoQ10 and then an Omega-3 fish oil and Antoxidant for after lunch. The handy packaging of the supps, made them super easy to carry around with me every day – no jiggling pill pots or no heavy packets. All I simply had to do was pull one side and out the other side pop the supplements, each clearly labelled so I knew exactly what I was taking and why. Clever eh?